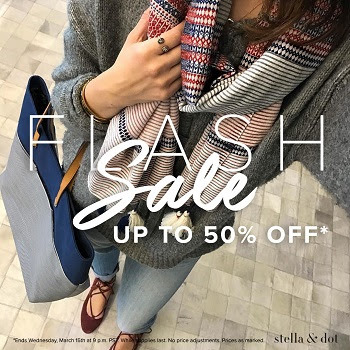 Stella & Dot is running a Flash Sale for 2 days only! You can save up to 50% on select items. The sale will end on Wednesday, March 15th. This is a great opportunity to save BIG on jewelry, accessories and more!